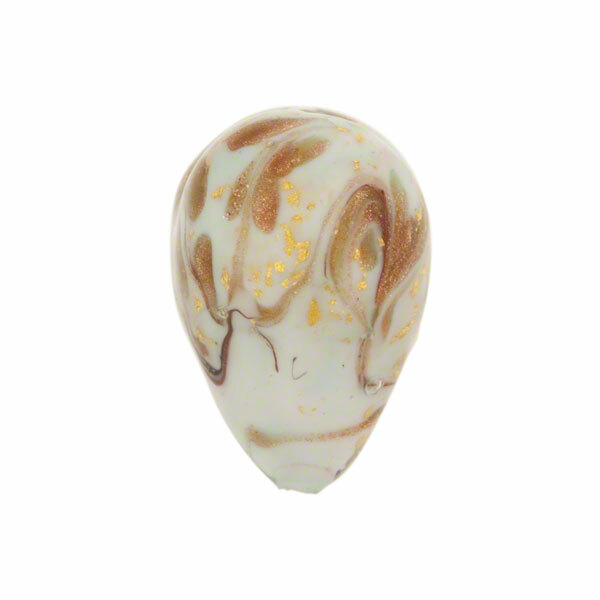 This is a 20mm heart in our Marmo line of Murano glass bead with swirls of light celeste, a pale opaque aqua, mixed with aventurina and 24kt gold foil to create a marble-like effect. 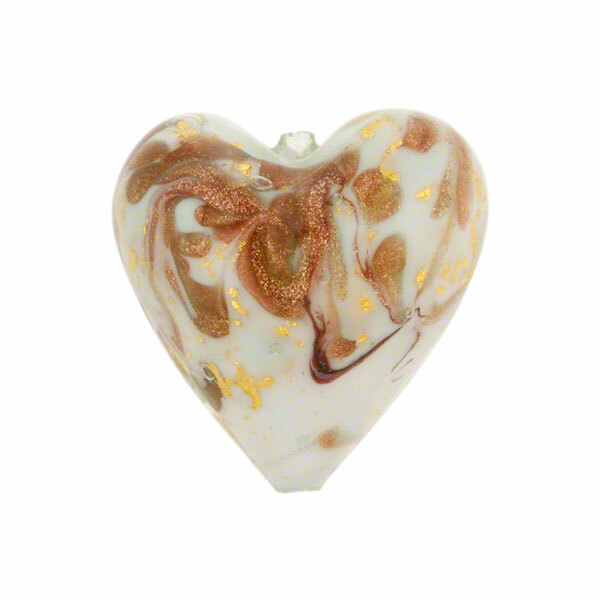 This heart is approximately approximately 14mm thick with a hole that runs vertically through the bead top to bottom and is approximately 1mm in diameter. The exact placement of the color varies as the beads are handmade.